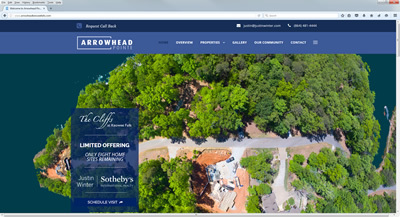 Set on the shores of stunning Lake Keowee amid thousands of acres of state and national parkland, hundreds of miles of trails, and numerous lakes, rivers, and waterfalls, Keowee Falls is a luxurious lake living community, where a healthy lifestyle will be part of your daily routine. Unique to Keowee Falls, all property owners can enjoy the superb Sports, Activity and Wellness Park, including a fully-loaded gym, resort-style pool, spa services, four Har-Tru lighted tennis courts, a track and walking trailes, playing field, putting green, waterfall, and more. Cliffs Club Members enjoy reciprocal golf and dining privileges at all seven Cliffs communities. Named one of Golf Magazine’s Top Ten new private courses when it opened, the Jack Nicklaus Signature Golf Course lives up to its acclaim. 160 acres provide 7,171 yards of challenge on this par-72 course, which has several holes that play alongside picturesque Falls Creek. The most enticing features of the course are the greens and green complexes, which in true Nicklaus Signature form, are undulating and surrounded by bunkers, bail-out areas, and false fronts-sure to please moderate and low handicapper alike. With new Bermuda grass greens recently constructed as part of a million-dollar enhancement, Keowee Falls now has the newest and most up-to-date greens of any Cliffs golf course. In addition to re-contouring, the new greens are drought, heat, and cold resistant. Capturing panoramic views of scenic Falls Creek and 10 of the Nicklaus Signature Golf Course’s 18 holes, the 28,000 square foot Keowee Falls Clubhouse is sure to delight Cliffs Club Members and their guests. Whether you’re dining fireside on the grand terrace or relaxing in the rocking chairs after a round of golf, the well-appointed Clubhouse is the hub of Falls life. It is where friends and family come together to view sunsets, celebrate special occasions, or simply enjoy life-all while savoring delectable Blue Ridge cuisine that changes seasonally. A new, $3MM Sports, Activity, and Wellness Park was completed in 2015. 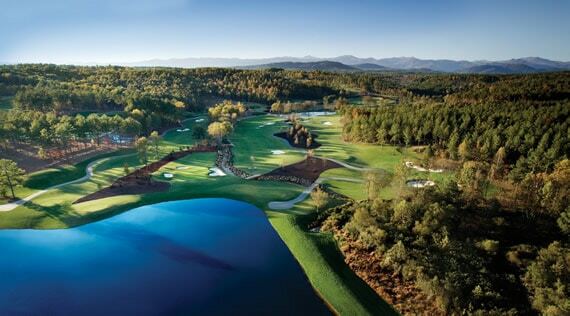 The Park, which is conveniently located close to the Keowee Falls Clubhouse and golf course, includes a Wellness Center with a fully-loaded gym and resort-style pool, spa services, four lighted Har-Tru tennis courts, basketball courts, a yoga or relaxation pavilion near a waterfall, a track, playing field, putting green, lawn bowling, and more. The Sports, Activity and Wellness Park is open to all levels of Cliffs membership holders and Keowee Falls South property owners. One of a few private park and relaxation areas within the community, this park’s namesake is a spring-fed cascade of pure water-Falls Creek-which tumbles into Lake Keowee. The adjacent beach and warm cove are perfect for “floating” on a summer’s day or enjoying the company of friends and neighbors. At the entrance to the park there is a picnic area, complete with tables set alongside a cascading river. Looking like a European mountain village, this shopping center at the entrance to Keowee Falls is home to Keowee Towne Market Café. The Café is known for gourmet sandwiches, pizza, and other delectable treats to enjoy inside, out on the patio, or take home. A grocery section offers a surprising selection of staples, a fine selection of wine and beer, meats, fish, cheeses, fresh flowers, and unique, locally inspired gift items. A liquor store completes your planning needs with one-stop shopping. For 2019, a pharmacy is planned and will join a pre-existing real estate office, builder/architect and financial planning company. Keowee Falls offers over 10 miles of trails along the pristine shores of Lake Keowee. Visit picnic areas, fishing holes, and waterfalls, including Keowee Falls, the largest waterfall on the lake.